15,418 new plug-in vehicles hit the Nordic roads in the first half of 2016, which is a 30% increase since the beginning of the year. The increase is primarily fueled by record sales in Norway, Sweden and Finland, whereas the sales in Denmark are stalled. Sales of all-electric and plug-in hybrid vehicles has set a new record the first half of 2016. This is stated in the recently published edition of the industry publication Insero Quarterly, which presents the latest development in sales of battery-powered vehicles in the Nordic countries. Once again we see a significant increase in sales of PHEVs, which has doubled compared to last Year. “In the second quarter of 2016 PHEVs accounted for 60% of the total sales of battery-powered vehicles in the Nordic countries. We expect the increasing amount of new plugin hybrid models to contribute to continuously growth in the Nordic countries”, Søren Bernt Lindegaard, consultant at Insero explains. In total 9,151 PHEVs and 6,267 EVs were sold in the second quarter of 2016 across the Nordic countries. Where EVs rely on a battery and an electric motor, PHEVs also have a battery as well as a gasoline engine, which makes them capable of running on both electricity and gasoline. The Norwegian EV market is continuously growing, and has once again passed a sale of more than 10,000 battery-powered cars. Based on that fact, Norway is representing 75% of the total sales of battery-powered cars in the Nordic countries. The Norwegian government has moreover launched an initiative, with the purpose to ensure establishment of two multi standard fast charging stations, for each 50 kilometers on all main roads each highway by 2017. This will result in a significant improvement of the Norwegian charging infrastructure. Norway is an excellent example of how a determined political effort, can turn out to be a critical success factor for expanding battery-powered cars. Looking at the increasing sales, as well as the future political initiatives, we expect Norway to continue experiencing sales that exceeds 10,000 battery-powered cars in the coming quarters, says Mr.Lindegaard. Sweden also had an impressive second quarter, where sales has increased with 80% compared to the second quarter in 2015. Even though the Swedish government has reduced support for plugin hybrids, this is without doubt the leading segment in Sweden. Plugin hybrids are without doubt the preferred battery-powered car in Sweden. With a sales increase of 114% in the second quarter, plugin hybrids account for more than 75% of the total amount of registered battery-powered vehicles in Sweden. 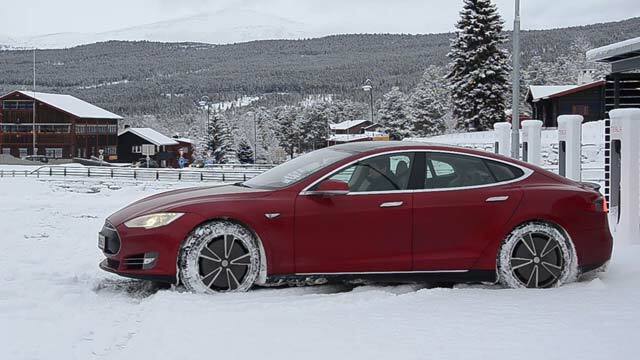 Finland is likewise experiencing progress, and has had the best quarter ever with 281 battery-powered vehicles sold. On the other hand, Denmark is experiencing stagnating sales, and has in the second quarter of 2016 sold 60% less battery-powered vehicles, compared to the same period last year.